From the culinary mastermind of Celebrity Pastry Chef Daniel Tay comes Cat & the Fiddle - Singapore’s First and Foremost Online Premium Cheesecake Retailer. At Cat & the Fiddle, you’ll find a diverse selection of 20 varieties of gourmet cheesecakes comprising faithful classics like the Classic New York Cheesecake and Oreo Cookies & Cream Cheesecake, Asian and local-inspired creations, and even specially-composed medleys of our best-sellers so you get to try 10 spectacular flavours in one neat cake! Whether it’s the burst of juicy fruit, the pungent allure of Mao Shan Wang Durian, the richness of devil's chocolate or smokey aroma of sea salt caramel you’re craving to savour, Cat & the Fiddle has every cheesecake lover’s whim and fancy catered for. If a celebration such as a birthday party is in order, complete your cheesecake with a beautiful bouquet of flowers and delicious chocolates on the side, or fun birthday candles, a greeting card customized with your personal message, or even customizable stencils for a personal decorative touch. With Cat & the Fiddle’s Island-Wide Door-to-Door Delivery Service (including Urgent / Express / Same-Day Delivery) and Mobile Van Collection Points, indulging in your favourite cheesecake has never been easier. At Cat & the Fiddle, we believe in spreading the love to the less fortunate. 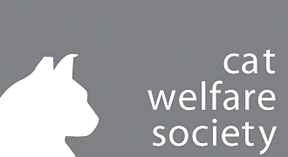 We care through our actions such supporting stray cats through the Cat Welfare Society, children in need through The Children's Aid Society as well as those who are differently enabled through SPD and The Purple Parade. Always pushing boundaries, we’ve also taken our cheesecakes across borders since September 2016 with the establishment of our first overseas outpost in Malaysia. With this Halal-certified central kitchen, we plan to also cater to our local Muslim fans by importing our Halal range of cakes into Singapore by within the next few months. To make our delicious cheesecakes even more accessible, Cat & the Fiddle has also developed new cost-friendly modes of delivery. Besides opting for doorstep delivery and self-collection, we now also offer mobile van collection points island-wide, so ordering and receiving your favourite cheesecakes has never been easier! The brains and creative spark behind Cat & the Fiddle is Chef Daniel Tay, one of the most well known names in luxury desserts in Singapore. Trained in the art of classical French pastry- and dessert-making, Chef Tay has worked with the legendary gourmet food retailer Fauchon of Paris. In Singapore, he was the Pastry Chef of the famed gastronomic French restaurant, Les Amis. Chef Tay’s skill and artistry has garnered him a gallery of awards including Finalist at World Gourmet Summit (2002 - 2006), Pastry Chef of the Year (2001) and World Pastry Cup Gold Medal (1996). After nearly 20 years at the highest levels of his profession, Chef Tay founded the state-of-the-art food solutions company, Foodgnostic, to further his culinary ambitions. Out of this emerged Cat & the Fiddle, the online cheesecake specialist shop with its message of quality and affordability for all, and sustainability for the environment.